The Science Channel will premiere season two of "The Unexplained Files" on Tuesday, July 29 at 10 p.m. ET/PT. The second season contains 12 new episodes that will be "examining strange, mind-boggling phenomena that science cannot – or will not – explain." The series uses "dramatic reconstructions, riveting never-before-seen footage, first-hand eyewitness accounts, and expert interviews" to examine the unexplained and "takes a scientific look at the inexplicable, uncovering paranormal activities that have mystified scientists, inspired legends, and captured the human imagination for centuries." In the world premiere episode, "The Unexplained Files" investigates the real story of the exorcism that inspired the film “The Exorcist”. For the first time, Brother Greg Holewinske, who is the last living eye witness to the exorcism, will discuss his experience and his unique role in the terrifying exorcism. Brother Greg is a member of the Alexian Brothers and this episode of "The Unexplained Files" marks the time a member has spoken about what happened during the exorcism. Also in episode one, Science Channel takes audiences inside the story of 100 elk who were found dead on a New Mexico ranch in the summer of 2013. An initial examination revealed that all died within 24 hours. With no bullet wounds or other immediate explanation the cause of death is mystery and one of several cases of native herding animal deaths across North America. Season two of "The Unexplained Files" will feature a number of factual stories from around the globe, venturing to Bosnia-Herzegovina where a geologist claims to have found pyramids that predate the ancient pyramids of Egypt by 7,000 years. In another episode, "The Unexplained Files" follows the latest expedition to the remote Lake Labynkyr in Siberia, Russia where people have reported seeing a large, underwater creature. Searching through the fissures and tunnels, experts may have discovered completely new strains of life under the lake’s surface. The series also examines a strange connection between UFOs and nuclear weapons. For years, military personnel in the U.S., U.K. and Russia witnessed UFOs over nuclear installations and in some cases all nuclear warheads stored there have become inoperable. Are UFOs targeting sensitive nuclear weapons sites? These unsolved mysteries and more explored in the series stem from reliable sources who offer shuddering accounts and daunting evidence that will leave the audience contemplating whether these odd predicaments and occurrences are true or stranger than fiction. 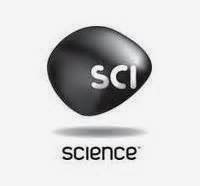 Tune in to the Science Channel on Tuesday, July 29 at 10 p.m. ET for the premiere. According to the release, "The series also will premiere on Discovery Channel outside the U.S. in more than 220 countries and territories across Latin America, Europe, Middle East, Africa and Asia-Pacific later this fall."